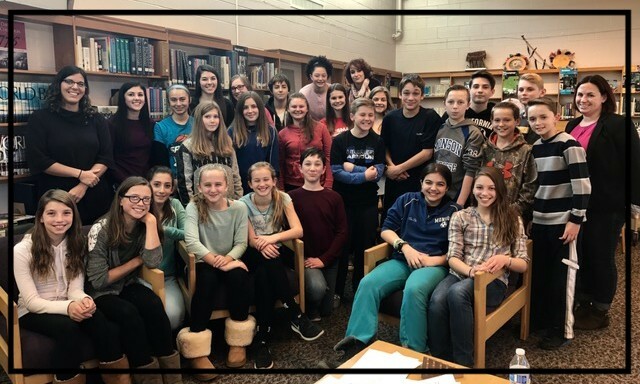 On Friday December 16, 2016, Mrs. Walker’s English 9 Honors class came down to the middle school to collaborate with a sixth grade English Class. Mrs. Hudak’s students were paired up with one of the freshmen to analyze and create poetry. They started their day by receiving a poem and analyzing the meaning. Students gathered together to have a few mini lessons taught by the teachers. Over the day, the groups were able to create an imitation poem reflecting the original. The students had a great time working and performing their poetry to the class. Many felt that the day was well planned and very effective. 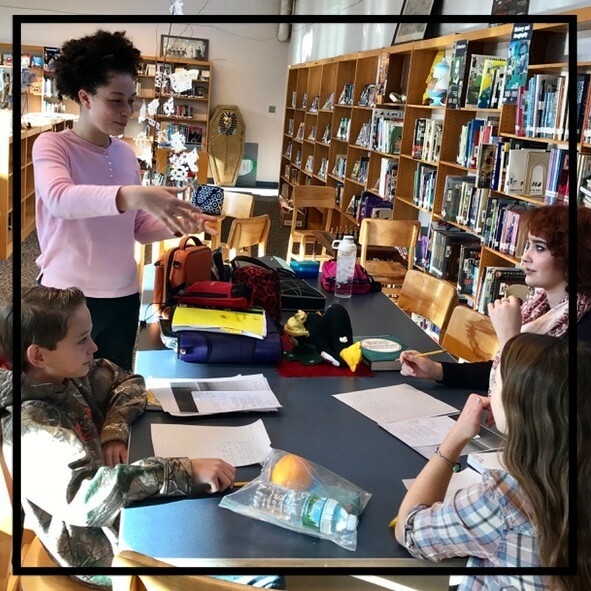 The freshmen acted as mentors to the support the sixth grade in their poetry knowledge. 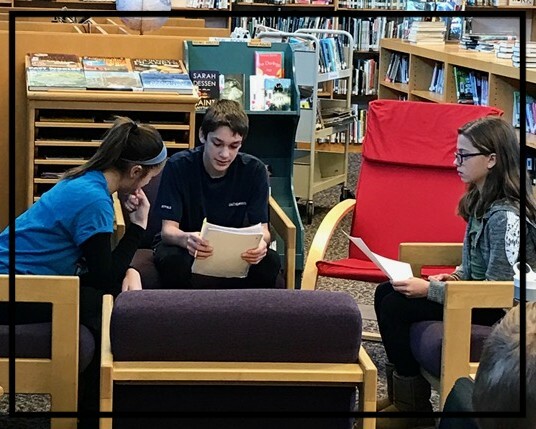 Several students felt they gained not only a more in-depth knowledge of poetry, but also expanded on building relationships between the schools. 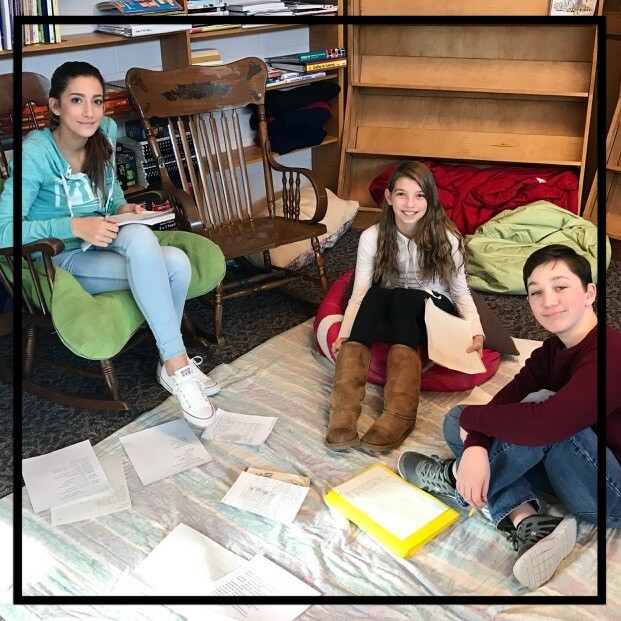 One sixth grader stated “I liked this because we got to work with older kids and now we have a better understanding of poetry and writing!” The freshmen and the sixth graders made many remarks that this unique opportunity was worth repeating. 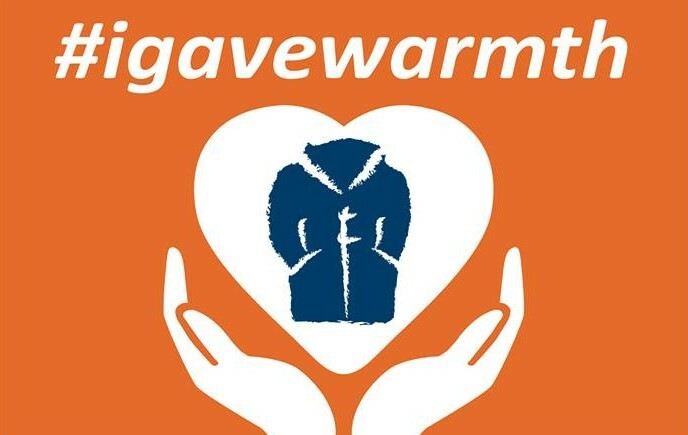 Students at Granite Valley Middle School are running a coat/jacket drive for ONE WARM COAT from 1/3/17-1/30/17. At the end of the drive, the gently used or new coats will be brought to our local donation center which is the Springfield Rescue Mission. Please consider donating! The drop off locations are: Adams Hometown Market, Monson Savings Bank, Monson Free Library, and Granite Valley Middle School. Please look for their bins! The charity contest in 8th gradebetween "Team Car-nae-nae" and "Team Hogan" has concluded. 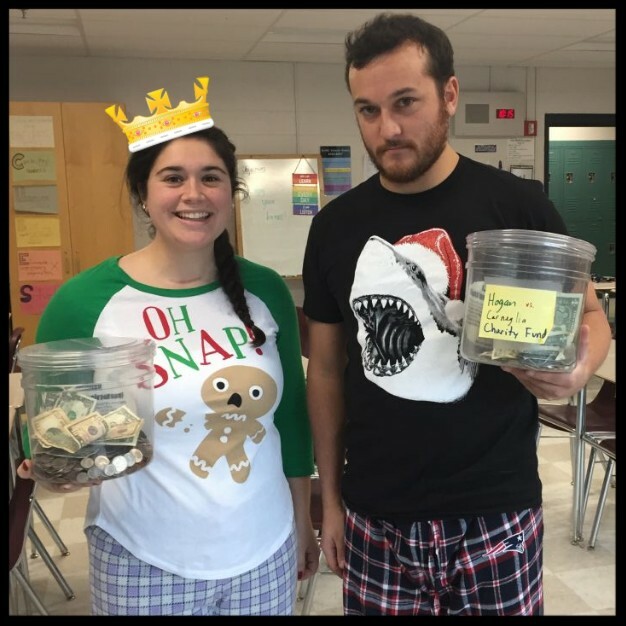 Students for each side raisednearly $200, with Ms. Carneglia edging Mr. Hogan $99.69 to $76.79, to the money will go to the Monson Salvation Army to help our community. Thanks to all who donated! Mr. Hogan will debut his "Team Car-nae-nae" shirt after break. Friday, January 6th is a Character Education Day. Students will be learning about the character trait consistency. 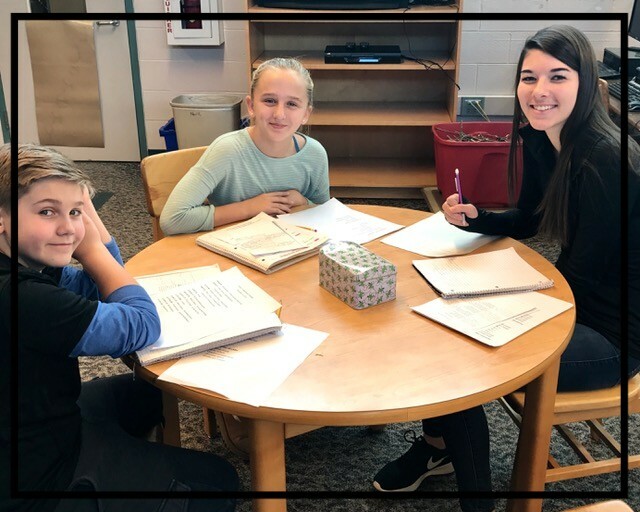 Students will participate in an assembly, small group discussion and a group activity all based around the importance of consistency in school and in life. Students are asked to wear white to show their school spirit on Friday. Friday, January 6th is also the Student of the Month assembly. The ceremony starts at 8:00 AM sharp and is approximately 30 minutes. Parents are encouraged to attend to celebrate this accolade with their children.